December 21, 1934 - July 28, 2018 Kennett Square, PA | Age 83 Loving Father, Grandfather, Brother and Friend. ROBERT DAVID STARK, age 83, of Kennett Square, PA, passed away on Saturday, July 28, 2018 at the Christiana Hospital. Born in Kulpmont, PA, he was the son of the late David Stark and the late Stella Jingeleski Stark. He was an elementary school teacher in the Avon Grove School District for 40 years, retiring in 1998. He also worked as an iron worker for 25 years and belonged to the local iron workers union. Mr. Stark served his country in the U.S. Army infantry. 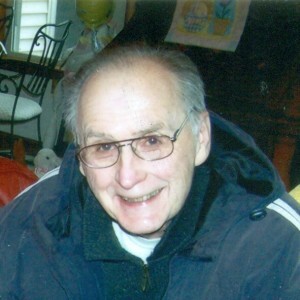 He was a member of St. Patrick Church, the Knights of Columbus and the Kennett Area Senior Center. Mr. Stark enjoyed playing with his granddaughter, the outdoors, carpentry, helping others and being with his family and friends. He is survived by one daughter, Deborah Ann DeMarie and her husband John of Dover, DE, one brother, Kenneth Stark and one granddaughter, Emily Ann DeMarie. Mr. Stark was predeceased by one daughter, Diane Lynn Stark and his former wife Teresa Sinshack Stark. You are invited to visit with his family and friends from 10:00 to 11:00 Saturday morning, August 4, 2018 at the Kuzo & Grieco Funeral Home, 250 West Street State, Kennett Square, PA.
His Funeral Mass will follow at 11:30 at St. Patrick Church. 212 Meredith Street, Kennett Square, PA. Burial will be in St. Patrick’s Cemetery, Route 82, Kennett Square, PA. In lieu of flowers, a contribution may be made to St. Patrick Church, 205 Lafayette Street, Kennett Square, PA 19348. Please enhance this tribute to Mr. Stark by adding your memories. Praying for comfort for Deborah and the family. I agree with Jill’s note, Mr. Stark was one of the best teachers I had too! I was in the class (1982) that had him for a teacher for three consecutive years (6th-8th grades) at Fred S. Engle Middle School. I was afraid of him due to his sterness, but there was real teaching in his classroom. I lived on State Road and often walked home after sports practice. One day on my walk home, he stopped his car and asked me if I was mastering a topic that I was clearly having difficulty with. He had a good heart and cared about his student’s learning. My prayers to the family. I had Mr Stark as a math teacher many years ago at Fred S Engle. One of the best teachers I had. I can still see him walking around with his yard stick.